I’m feeling the interiors of today’s car is not as usual. 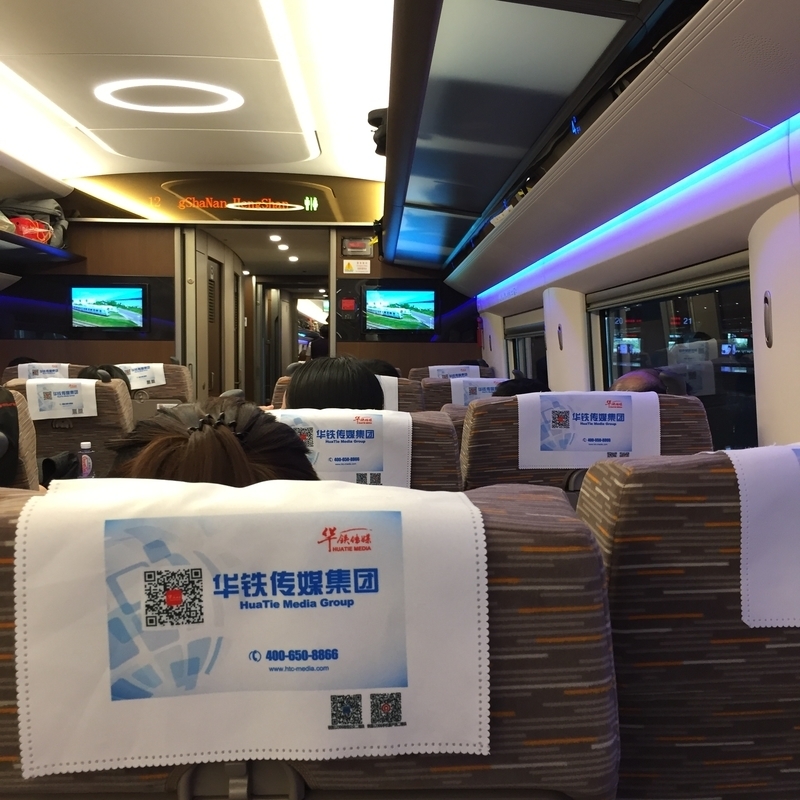 After we were leaving the station, I saw the information monitor on the wall of the car and I found this train was the high-speed train Fuxin (Renaissance) which the boasts of China P.R. This entry is posted by the free Wi-Fi in the train.